This is a genuine replacement end cap assembly for your DC24 vacuum cleaner. This holds the brus.. 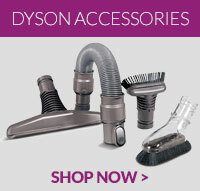 Replacement compatible Dyson DC24 Hepa filter for Dyson DC24 model vacuum cleaners. It is importa..